Jeff Mitchell, Tayor Sisson, Tyler Chairsell, Danny Pearce, Yash Gokul and Tony Rago all head to Victorville, Ca. 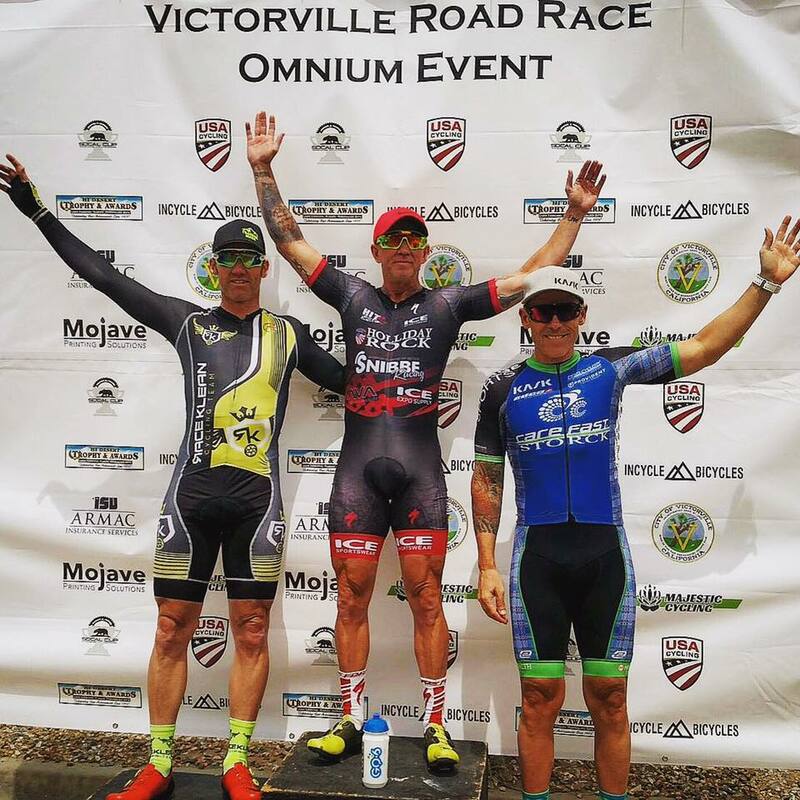 for the 3-day Omnium consisting of a TT on Friday, Road Race on Saturday and a Crit on Sunday. Taylor, Yash and Tyler all do the TT on Friday with Tyler sitting 2nd, Taylor 3rd and Yash just outside the top 10 of their respective categories. Saturday we were under a wind advisory with sustained winds nearing 30mph and some strong gusts which made for a long day battling the elements. The course was a 6.5mile loop with very rough pavement and a small climb on each lap. With the headwind on the climb and the strong crosswinds you had to really be heads up as everyone was looking for relief in the gutters. The Pro 1-2 would do 12 laps, the 45+ would do 9 laps and the Cat 3 would do 7 laps. Yash started his road race early but had to cut it short due to a flat out on the course with no wheel support. 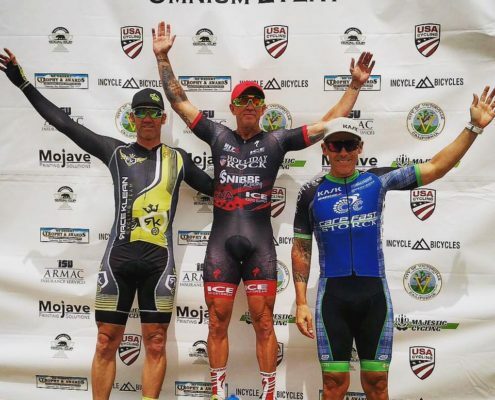 Danny was racing in the Pro 1-2, Jeff, Tyler and Tayor were racing the Cat 3s and Tony was racing in the 45+ Masters category. Danny took off first and a 3-man break was established just outside of the neutral roll out and it stayed away the entire race. The group split later and Danny finished with one of the chasing groups for a very hard day on the bike. Jeff got into a 3-man break that appeared to be sticking and ended up getting split up when he suffered a nasty cramp, Tyler got split from the group and ended up calling it a day. Taylor suffered a double flat and had to chase back on once he got wheels and managed to sneak in a 6th place finish. 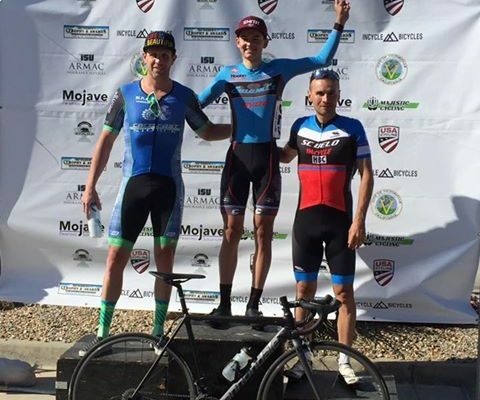 Tony was also in a break early in his race that got split and he ended up winning the bunch sprint for a 6th place finish in his race. 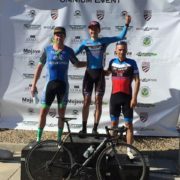 Sunday’s crit had much better weather and better pavement. 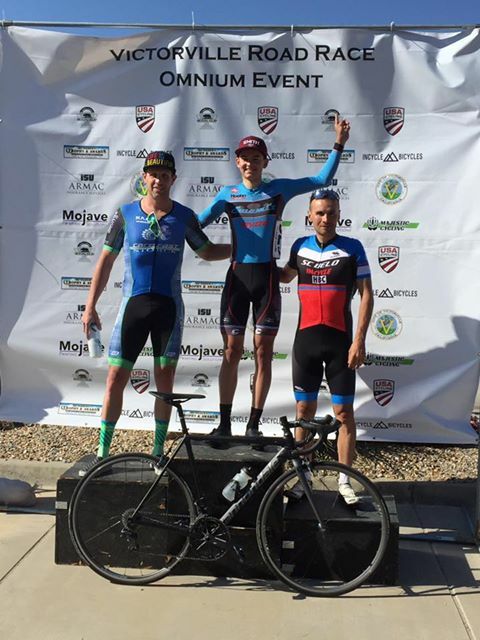 The boys did multiple races and the results were Jeff 2nd in the Cat 3, Tony 3rd in the 45+, Danny top 10 in the Pro 1-2 and although Taylor crashed with 2 to go in the cat 3, he managed to finish the race and seal 4th overall for the Omnium! Overall some tough racing and some bad breaks, but the boys brought home some results and some cash!